It is becoming easier to imagine the coming post-American financial order. At Bretton Woods in 1944, the world’s major powers settled on a new financial system. That system of world finance was dominated by America. When the system fell apart in 1971, countries switched to floating exchange rates, but the U.S. dollar remained the reserve currency. But today, in the post-global-financial-crisis world, Russia and China are finding new ways to avoid using the dollar. On March 29, the Industrial and Commercial Bank of China (icbc) established a clearing bank in Moscow to handle transactions in the Chinese currency, the renminbi (cny). The icbc is significantly larger than America’s largest bank, JPMorgan Chase. Russia’s economy is precariously weak, having been battered by sanctions from the West for its annexation of Crimea in Ukraine. It has had the choice of relinquishing its gains in Ukraine (a thought prestige-hungry President Vladimir Putin will not entertain) or of turning east, to Asia. Russia chose to turn east, in deed and in word, which is exactly what the Trumpet and the Plain Truth forecast for more than five decades (see “The Russia-China Axis Is Here”). So when declining export and import numbers were reported for Russia and China in 2015 and Foreign Affairs published “Moscow’s Failed Pivot to China,” the Trumpet ignored these as temporary slumps in the growing relationship. 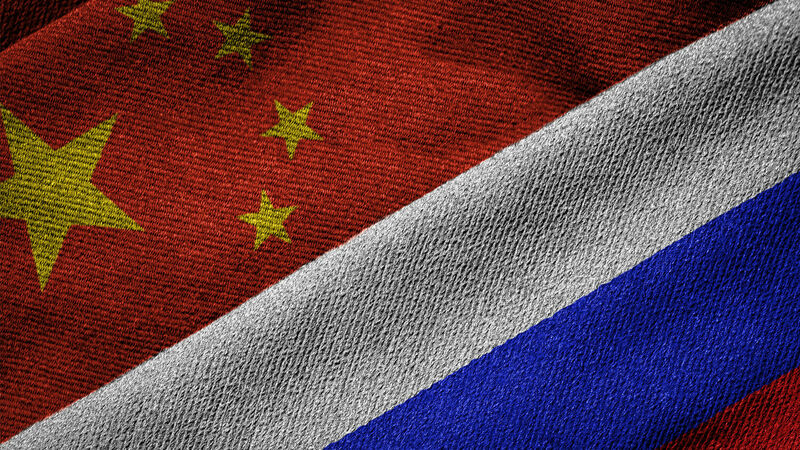 The trade turnover between China and Russia increased by 34 percent in January  as compared to the figure of last year … China’s exports to Russia grew 29.5 percent, reaching $3.41 billion, while imports from Russia increased by 39.3 percent—up to $3.14 billion. There is no more dramatic illustration of the extent to which the U.S. has turned its back on the world than to look at the swap lines the Federal Reserve maintains with its overseas counterparts to make dollars available in case of stress. The Fed maintains just five such lines, with Japan, the eurozone, the UK, Switzerland and Canada, according to Eswar Prasad of Cornell University and the Brookings Institution, a think tank. Emerging market central bankers who have sought such lines have been routinely turned down. Even as the U.S. steps back, China is taking a greater role on the global financial stage, despite slowing its timetable for dismantling capital controls. In contrast to the five swap lines from the Fed, the People’s Bank of China maintains 37. No doubt the things mentioned above are small steps. But they are directed toward the same end result: a financial system no longer dominated by the U.S. In 2015, the Trumpet told readers the world was entering a new economic era. A “Deathblow to the Dollar” would shift control east. Outside of America, this trend is obvious. The average person can tell you the Chinese are becoming the world’s largest economy. And with that knowledge, it’s becoming easier to imagine the coming post-U.S. financial order.